STAIRCASE is the structural members which provide vertical movement (circulation) between floors of the building at different vertical levels. The stairs of RC buildings may be designed by using various materials (wood, steel, RC, etc.). The idealization of support conditions of the stairs may not be straightforward as in other parts of the building.Therefore, a careful assumption should be made. Different assumptions may lead to different design solutions for the same staircase. 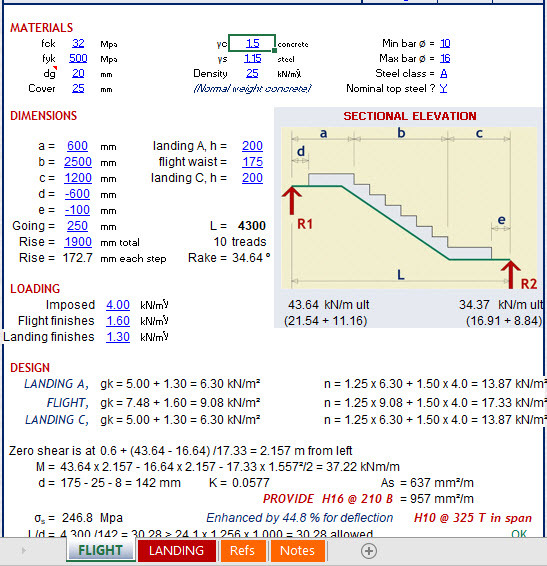 Basic Definitions: flight of step,landing, step width, step height,stair width.